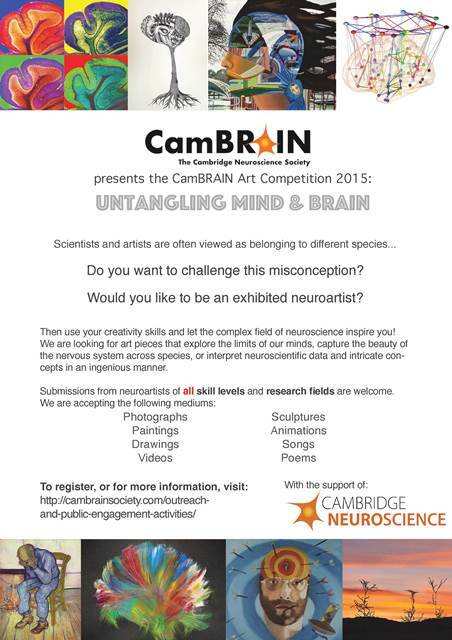 Following CamBRAIN’s successful art exhibition last year, we are running yet another art competition! You can submit any form of artwork, be it drawings, paintings, sculptures, poems, songs, comedy, etc. Some of you will have the opportunity to perform on the night of our Christmas Party which will be combined with our art exhibition and which will take place in early December! The deadline for submitting your artwork is the 20th November! Any questions? Do not hesitate to contact us at soc.cambrain.exec@gmail.com. re-opening after a major refurbishment! their posters or give a talk at this event. For one week each May, the Mental Health Foundation campaigns around a specific theme for Mental Health Awareness Week. 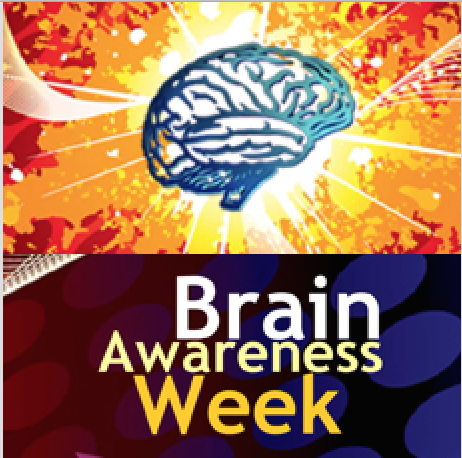 This year, the week runs from 11-17 May and the theme for Mental Health Awareness Week 2015 is mindfulness. #1in4 people will experience a mental health problem this year. During mental health awareness week, you can help raise awareness and reduce stigma surrounding mental health problems. Tag yourself and 3 others in a #1in4 photo, to show that anyone can experience a mental health problem and we should never be treated differently because of it. On our Facebook and Twitter accounts you can find a few #1in4 photos to give you some ideas, so get creative and nominate your friends to do the same! Include the #1in4 hashtag and @CamBrainCNS and show your support by donating £3 to MIND charity, text SUPPORT to 70660. Scientists and artists are often viewed as belonging to different species. Do you want to challenge this misconception? Would you like to be an exhibited neuroartist? Then use your creativity for more than just designing your experiments (or trying to fit your disconnected data into a logical, cohesive story for your thesis!). Let the complex field of neuroscience inspire you. We are looking for art pieces that explore the limits of our minds, capture the beauty of the nervous system across species, or interpret neuroscientific data and intricate concepts in an ingenious manner. We’re open to all mediums — from paintings, sketches/drawings, photographs and sculptures, to poems, songs, videos and animations. Submissions from neuroartists of all skill levels and research fields are welcome. It does not matter if you are an amateur or a professional artist, if you are working with nerve cells or studying perception. Do not miss this opportunity to have your artwork exhibited in a gallery and to win a prize. We will be inviting judges who are interested in bridging the gap between neuroscience and the arts to decide upon the top 3 submissions, which will be awarded. To register your submission please fill in this form online (or the form below). For this you must submit one or more high quality pictures (min. 300 dpi, 1200 x 1500 pixels, 1.5 MB) of your piece. Submission deadline: Sat 9th May. The deadline has been extended to the 19th of May! We have currently entered a phase commonly known as the “Cambridge Week 5 Blues”. In order to aid you in your survival and help you protect your mental health, each day we will be posting information on welfare resources at the University of Cambridge and local organisations using #CamWeek5Blues! Please follow us on Facebook and Twitter to find out more! 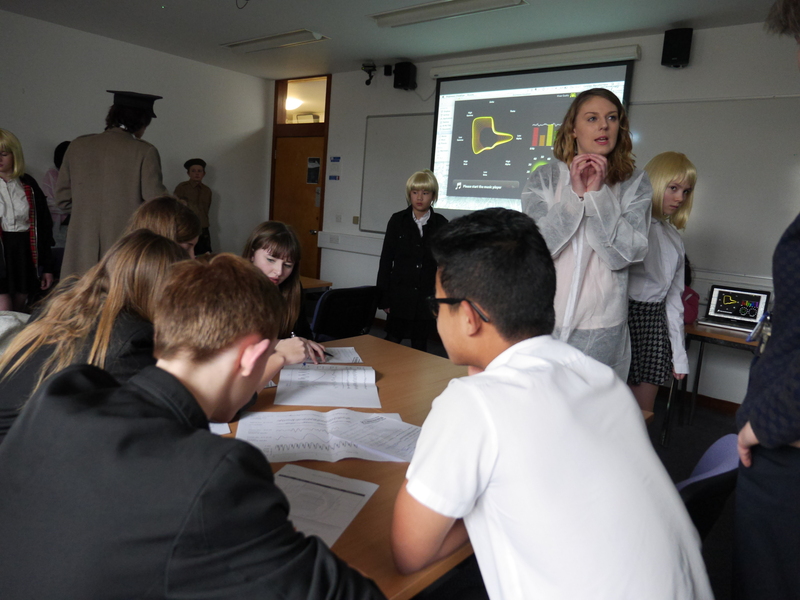 The British Film Institute (BFI), with partners Cinelive, received a £30,000 Wellcome Trust People Award to run immersive science events across the country as part of the Sci-Fi: Days of Fear and Wonder Season. The project is called the ‘Midwich Experiment’ and enlists the expertise of several neuroscientists, including Cambridge PhD students and CamBRAIN members: Sally Jennings; Katie Manning; Andy McCombie; Deniz Vatansever and Madeleine Walpert.